Here you will find my portfolio. My portfolio was very out of date so I'm working on updating. Please check back often for updates. This is a screensaver that I wrote for my wife for Valentines Day, 2007. It consists of rotating hearts falling from the top of the screen. Once the hearts pass out of view they are recycled back to the top. 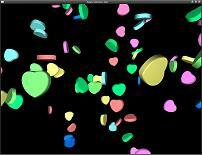 The starting locations, rotation axis, and colors are randomly chosen. 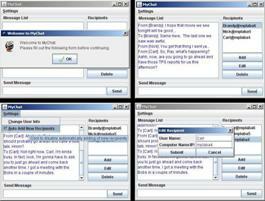 The screensaver can be run as a standalone program that does not respond to key events. See the readme for more information. 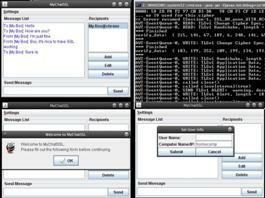 This is a simple peer-to-peer instant messenger written in Java. 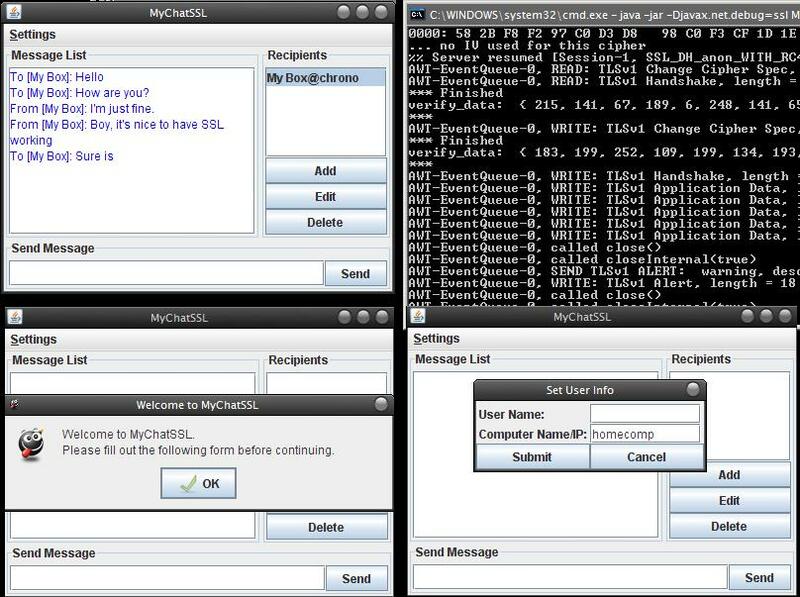 It uses host names to send messages to other clients running MyChat. I wrote this to gain some experience in Java networking and multithreading. 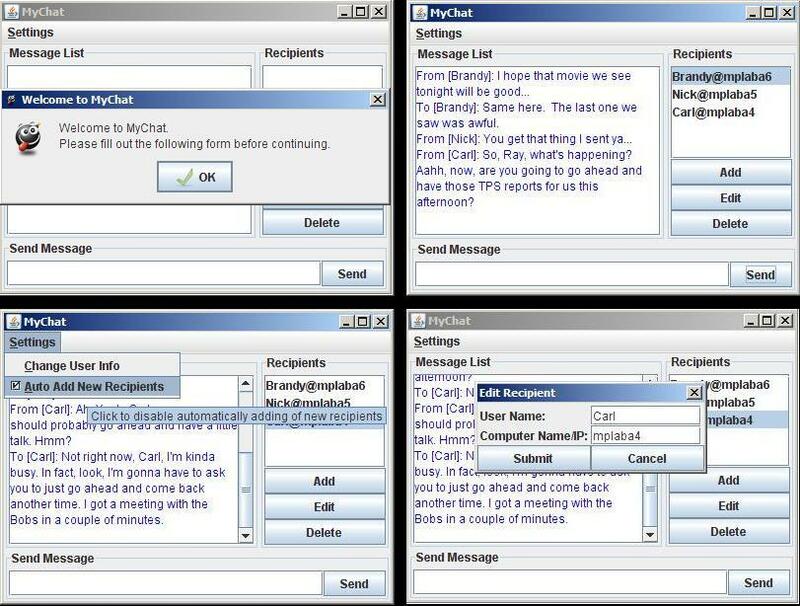 This is an SSL enabled version of my MyChat peer-to-peer instant messenger. For more information, check out the readme. 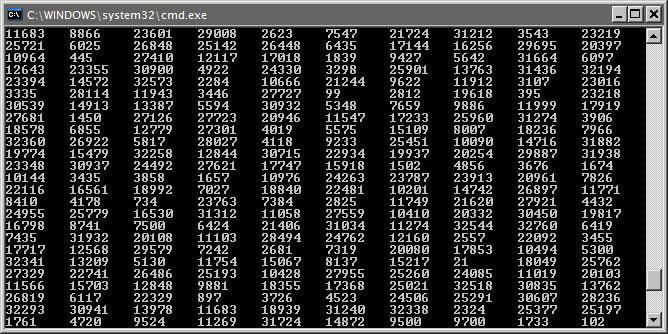 This program generates a list of random numbers. The user has a few options in creating the list and outputting. It can generate any number of random numbers (non-unique), up to RAND_MAX (depends on platform) unique numbers, use a variety of delimiters, and output to screen or file. 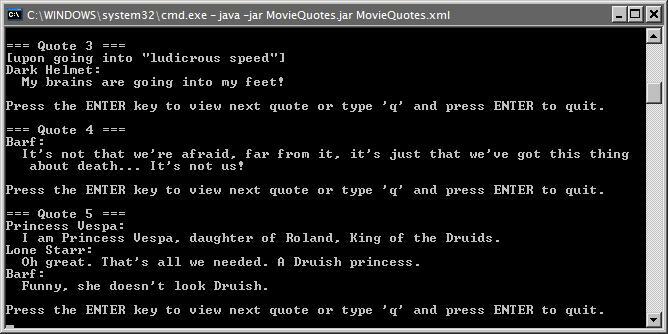 Well...this little program displays movie quotes parsed from an XML file. That's pretty much the gist of it. For a more detailed explanation, check out the readme.